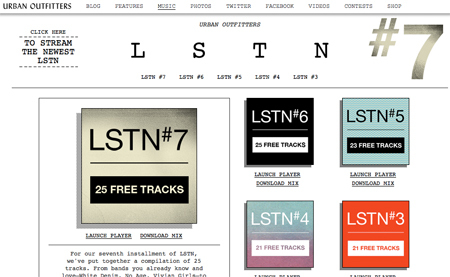 Head to the Urban Outfitters blog to download the newest mix, featuring Caribou, Surfer Blood, Liars, Small Black and many more. Its worth mentioning, if you’re outside of the US, iTunes won’t let you download the mix. But you can stream it on their page and learn a little on indie rock geography. Urban Outfitters are still doing their music compilations. Just checked in the other day and saw that they are on #7 now! Think I missed three or four in between. 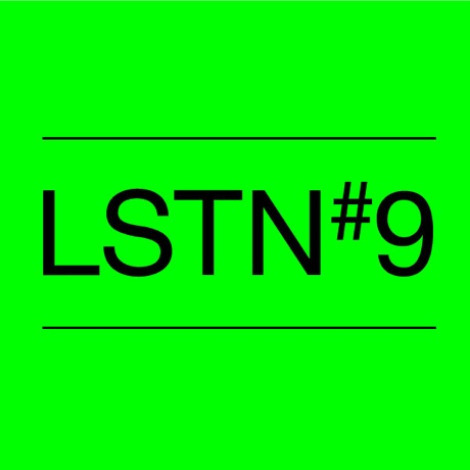 LSTN #7 features The Dodos, The Depreciation Guild, Free Energy and two tracks we hyped on Indie Music Filter Volume 6 (Calypso Gold by Princeton and Dominos by The Big Pink). As well, LSTN #7 features one of my favorite songs of the year (that I tried to get for IMF Vol 6), Feel It All Around by Washed Out. E-mailed a few times to get clearance for the track for our mix, but no response. Guess we’ll need to team up with a chic lifestyle retailer before we start going after the harder to get tracks. Hope Depot presents Indie Music Filter Volume 7?